The literary award founded by the Leo Tolstoy museum has been presented to its first international recipient. The Yasnaya Polyana literary award, which was founded by the L.N. 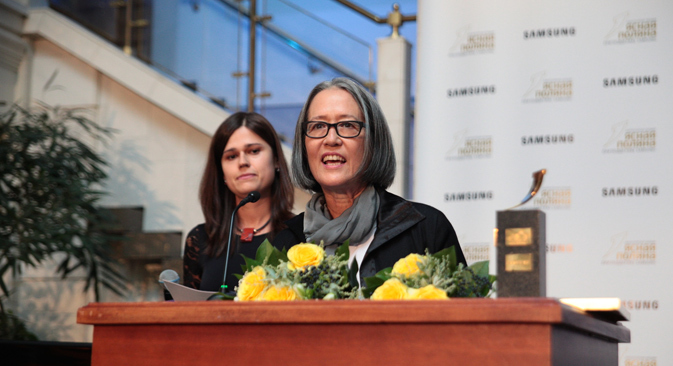 Tolstoy Museum-Estate and Samsung Electronics, was presented on October 28. Two new nominations were added this year – Foreign Literature and a special Readers’ Choice award. The prize for the best foreign book of the 21st century was awarded to Japanese-American author Ruth Ozeki for her book A Tale for the Time Being. She received a cash prize of 1 million rubles, while the book’s translator, Yekaterina Ilyina, received 200,000 rubles. The Russian writer Andrey Bitov was awarded the Contemporary Classic prize for his book Lessons of Armenia, receiving a cash prize of 1.5 million rubles.